This article covers how to assign additional voicemail boxes to users that are handling calls from a single telephone number. Site Administrators are responsible for setting up and assigning voicemail boxes, also known as Messaging Stations. Because users won’t be able to receive voicemail until the messaging station has been assigned to a telephone number, this is a critical step. A. How do I assign voicemail to a user that is receiving calls from a phone number that is shared with other users? Click the Phone Assignments tab at the top of the screen. Phone Number – phone number associated with each user. This is required. The voicemail box will be assigned to a phone number. Station – station type assigned to the user. Stations represent the features that the user receives. Until this is assigned, this field will be blank. Model – This field will remain blank. A phone is not required for additional voicemail boxes. 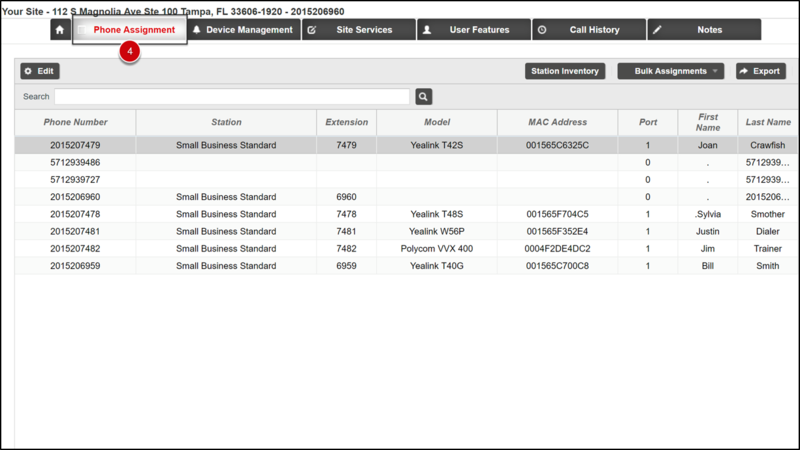 MAC Address – This field will remain blank. A MAC address is not required for additional voicemail boxes. Double-click on the Phone Number to which you want to assign the messaging station. 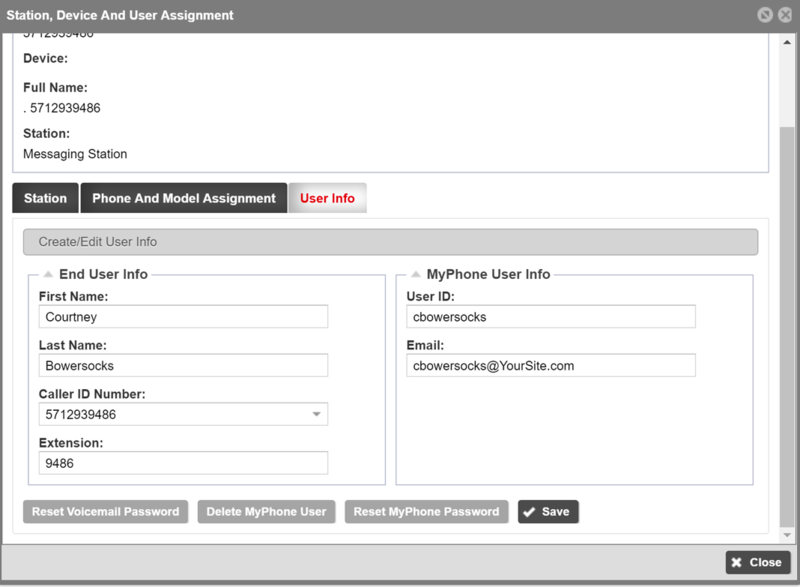 The Station, Device and User Assignment pop-up appears. Select the Messaging Station from the drop-down list. Click Next to the Phone and Model Assignment tab. Note: Messaging users do not have a phone, MAC Address, Ports or Multiple Lines associated with their station. Click Next to advance to the User Info tab. Enter the voicemail Extension. By default, it will be the last four digits of the assigned phone number. The extension can be 2 – 6 numeric digits.